Hi Everyone! 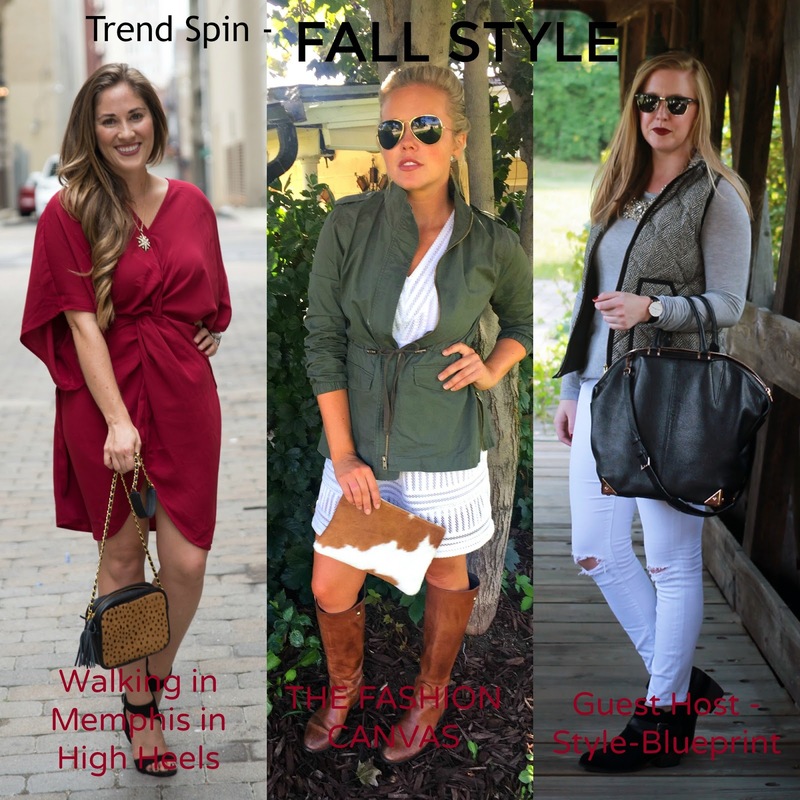 Today I'm so excited to be co-hosting the Trend Spin Linkup with Laura (Walking In Memphis In High Heels) and Erin (the Fashion Canvas). These fabulous ladies put together this link up each week so that bloggers like you and I can share our latest and greatest looks, posts, style, etc. Today's theme is 'Fall Style' so be sure to link up your post below. 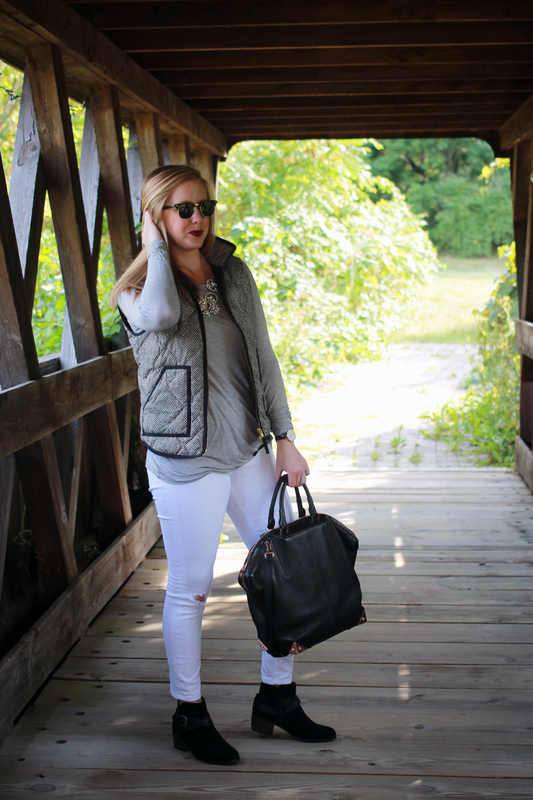 I'm loving white jeans in Fall - there are endless ways to wear them. 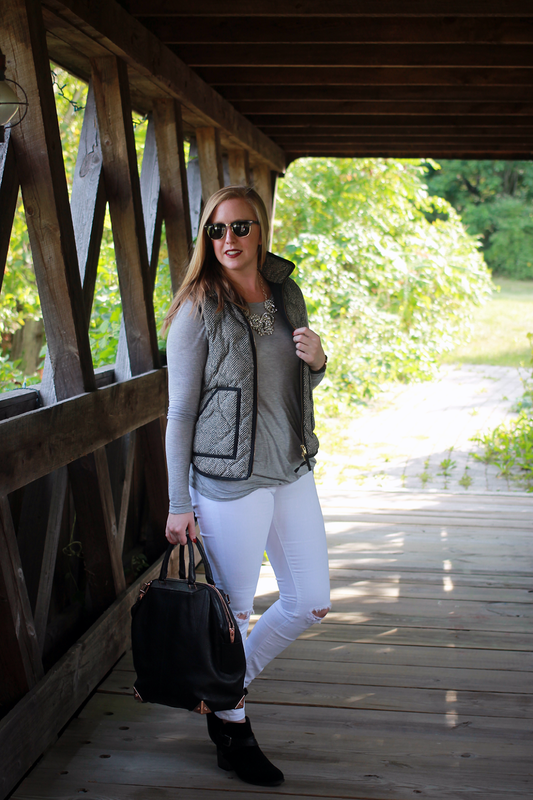 I opted to pair my jeans with my favorite J.Crew Factory vest - which is bound to sell out so shop it now! 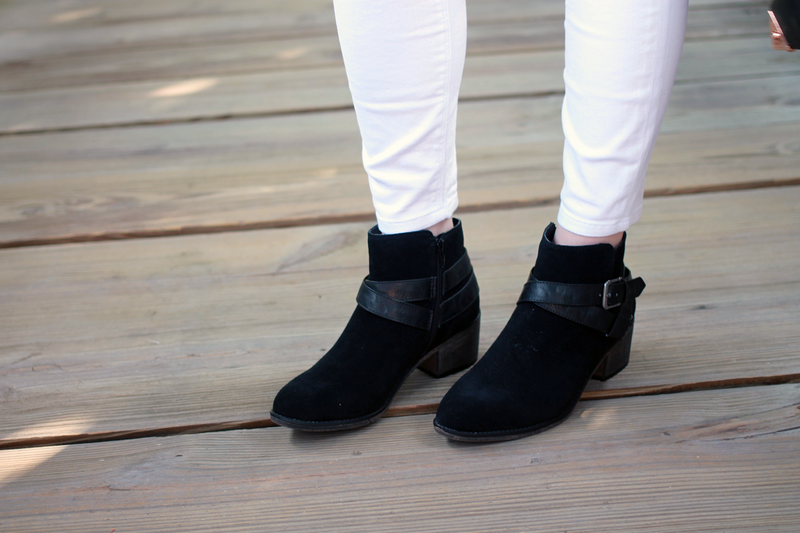 And can we just talk about these cute booties (c/o) from White Mountain Shoes? They're the perfect height for me and very comfortable. Shop White Mountain's new Fall Collection, and use Promo Code 'FALL12' for $12 all boots and booties! I'm loving these boots and these oxfords! 4 comments on "Fall Preview // Trend Spin Link Up"
This is such a cute outfit! And it is making me so crave the cooler weather. Bring on the Fall! 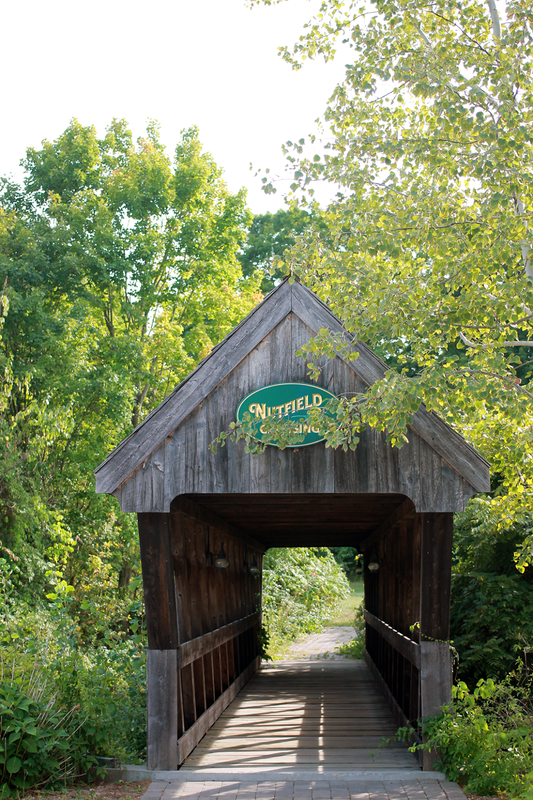 Such a cute little bridge! I love your statement necklace! Thanks for cohosting. 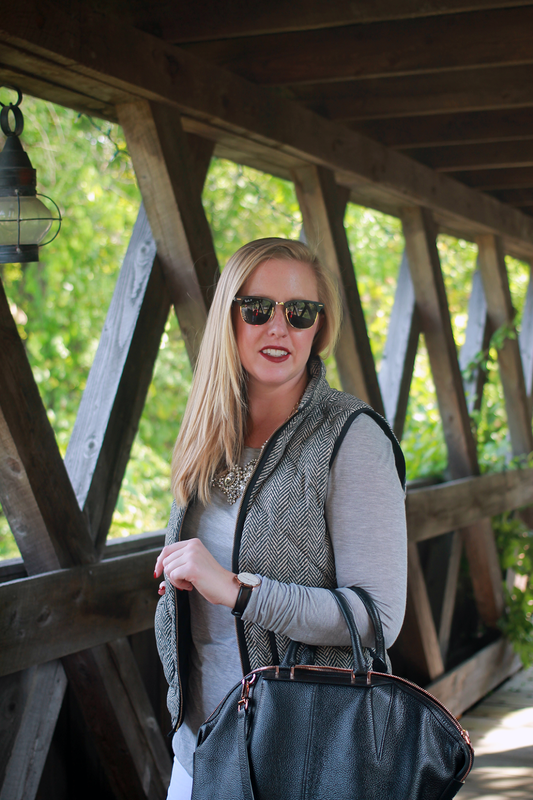 Love your fall look! 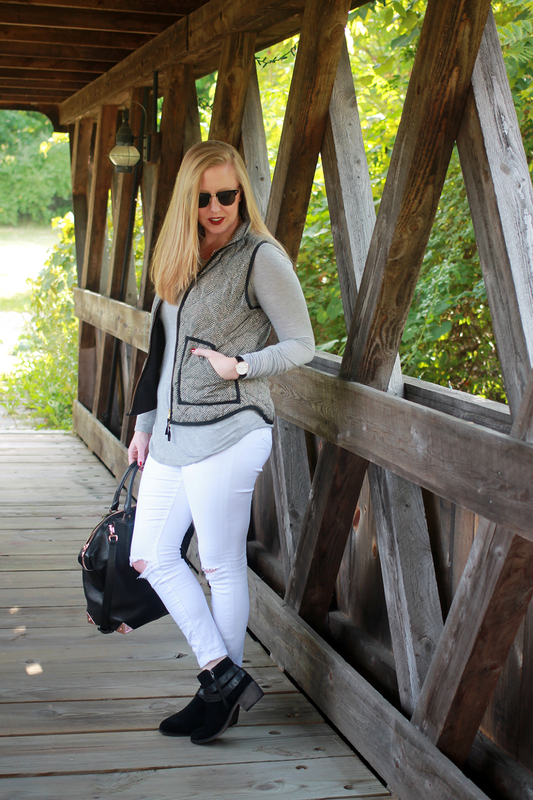 I just bought a pair of maternity white jeans because I couldn't be without them! 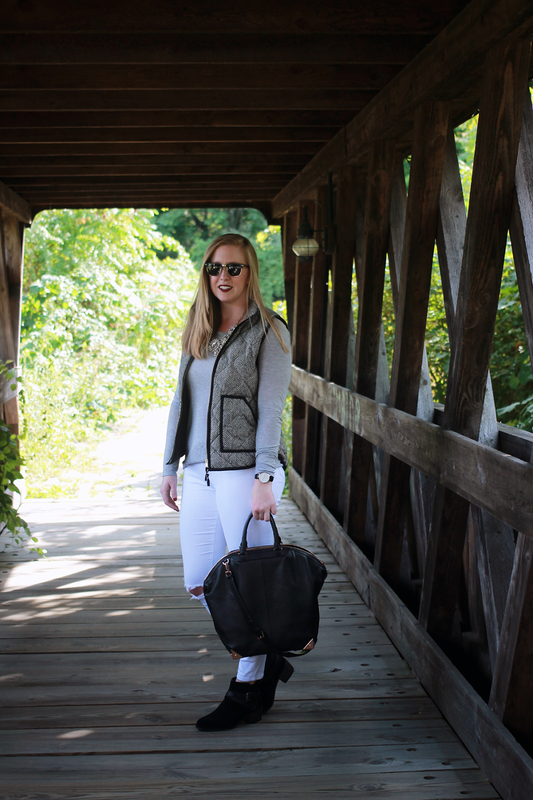 love how you have styled your white jeans!! !